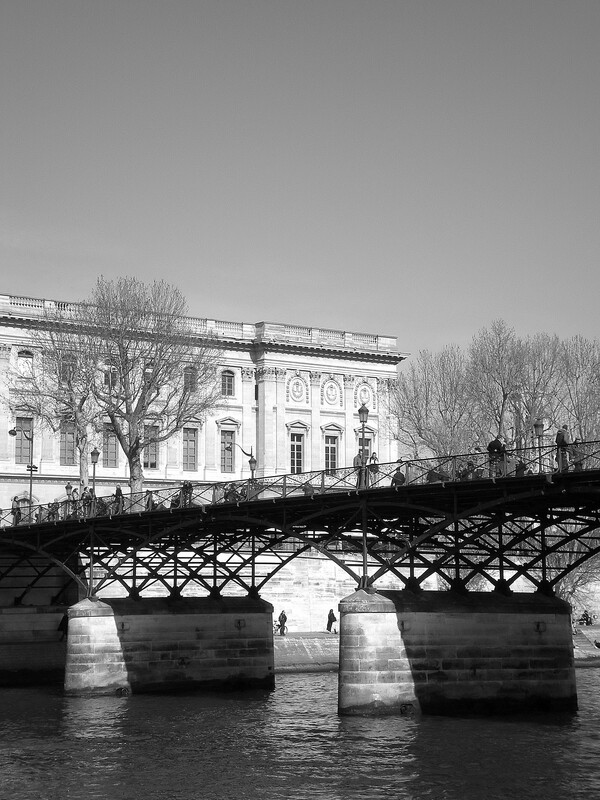 Paris is a beautiful city full of historic cream stone buildings, ornate bridges and wide pavements built for strolling past the river on. Like any city, there are contradictions, beauty paired with busy roads where drivers seem to take their lives in their hands, chic women in designer clothes walking past the homeless and delicious croissants being sold next to MacDonalds. 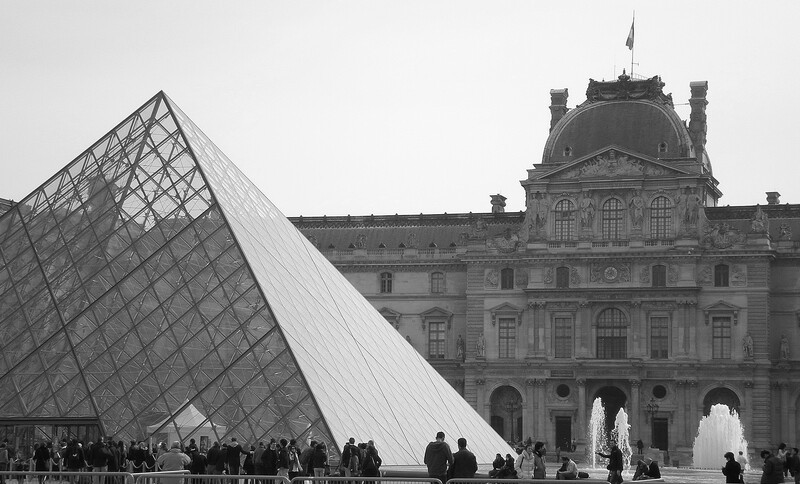 A weekend break in Paris is a tiring one filled with sightseeing and endless walking but there are plenty of rewards for your efforts as hopefully the photos in this post will show you. 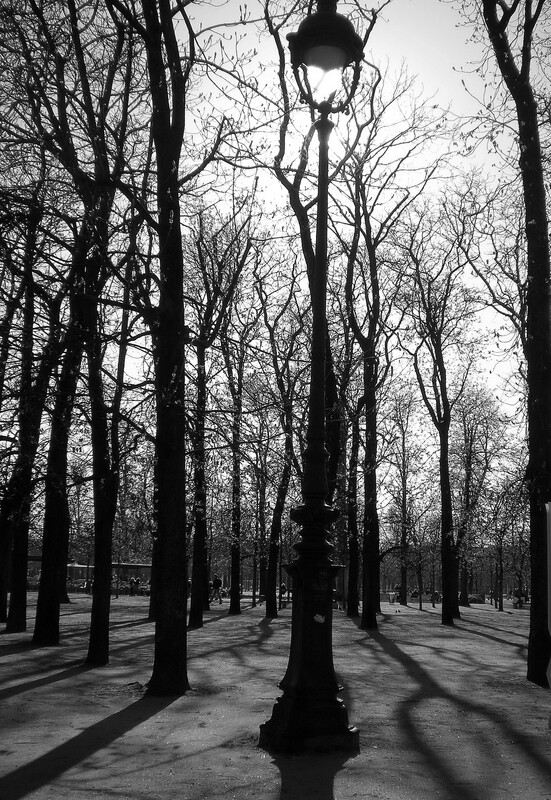 The Champs-Elysees is one such contradiction. I was expecting a beautiful wide road filled with gems of Parisian stores, matching Oxford Street or Fifth Avenue but I was disappointed. The street is without charm, seemingly geared to tourists only and the shops a poor range unequal to the other shopping cities. 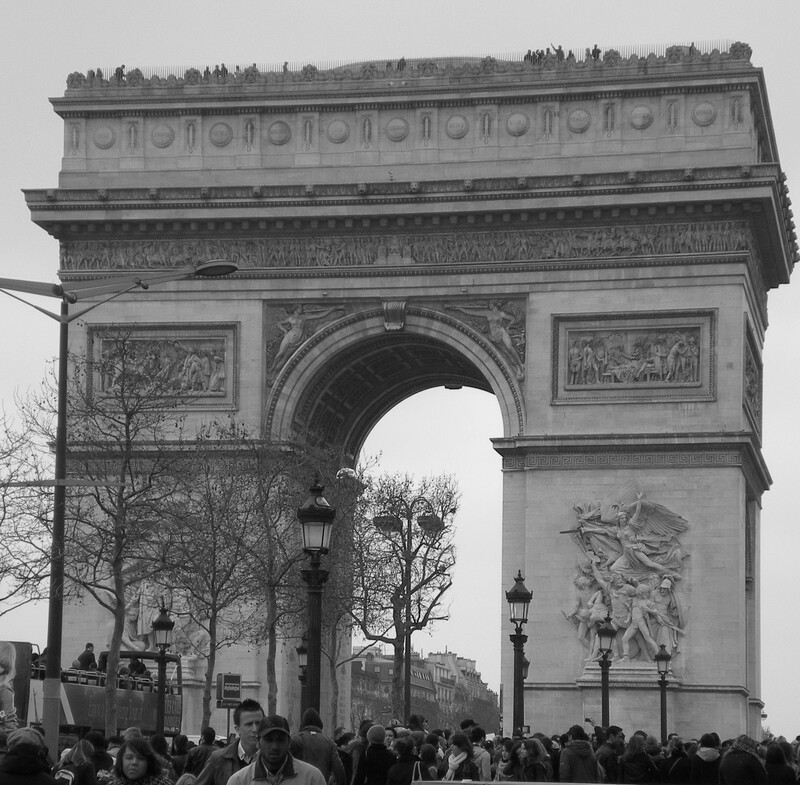 The Arc de Triomphe at the end is the saving grace and made the walk worth it. You are unable to stop yourself from breaking into a smile when you catch a glimpse of the Eiffel Tower, so symbolic of Paris and like an old friend from countless films. It doesn’t dominate the skyline as I imagined but often appears suddenly around the corner when you are least expecting it. The first and second days in the city were grey and cold and rainy so it was hard to appreciate the full beauty of the city but the second two days were brighter and warmer and the city seemed to come to life, with crowds of people enjoying the sunshine and sights. My birthday on Sunday luckily brought a chnage in the weather making it finally nice enough to take a boat trip along the Seine, a must-do if you are ever in Paris. The Louvre is so famous we had to take a look around but to be honest the paintings weren’t my taste, mostly focused on religious classics from centuries past.Inevitably, there was a crowd around the Mona Lisa, a small painting beneath glass that failed to allow you to see why its such a masterpiece. The outside of the museum is beautiful, the glass pyramids offering a contrast to the grand building behind them. We ate delicious croissants from a stand by the Louvre on the last day, feeling very Parisian as we sat and people watched. The food overall was good throughout my trip but it was very expensive, even topping London prices. I sampled two crepes and they are yummy, reasonable snacks to pass the void until dinner. The village of Montmarte parked high on a hill above Paris offered vast views of the city below and was awash with artists and cobbled streets. 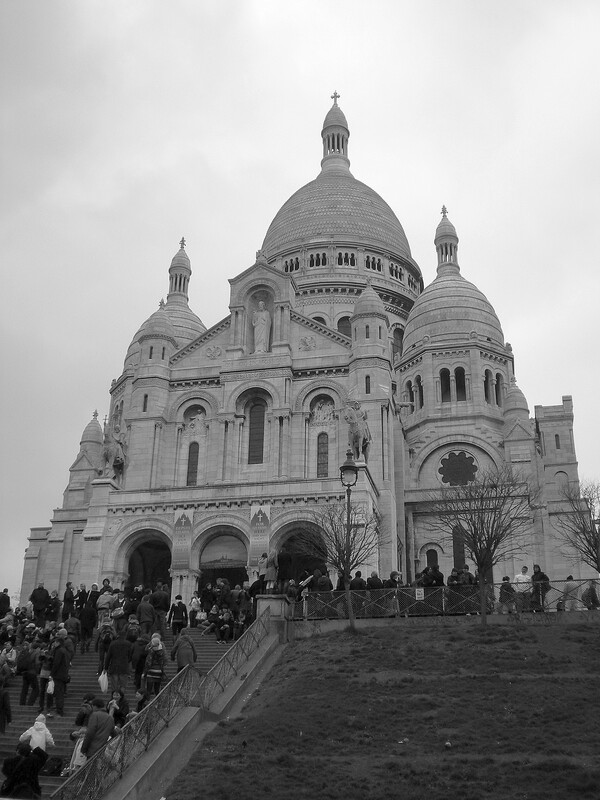 The Sacre Coeur was an impressive sight and watched over the city, attracting people to its stone steps to sit, talk and watch – there was even a sing-a-long. 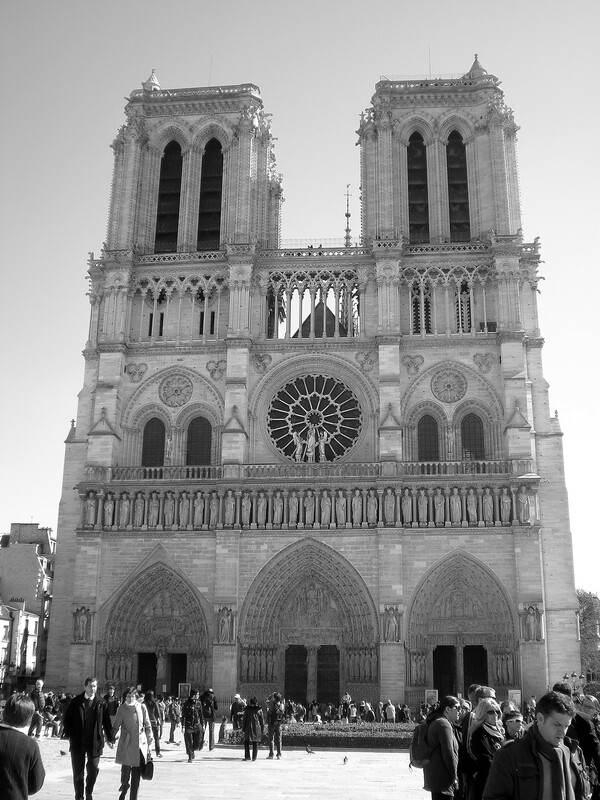 The last day of the weekend was spent strolling to Notre Dame and enjoying the pleasant day. The river and the surrounding buildings are what you imagine when you picture the city and the outside of the church is wonderfully unique. Alongside the river are green stalls where prints, postcards and used books are sold from countless vendors. I picked up a Van Gogh Sunflowers print and some black and write Paris postcards. Overall, I was disappointed with the shopping experience in Paris. Aside from the stalls and touristy souvenir shops that sell numerous I Heart Paris items, there were few shops. Unless you wanted to browse in Chanel or Louis Vuitton or pop into Gap, I couldn’t find any decent clothes shops. I would have liked to find a unique Paris item or some chic French clothes you can’t get here but it was no use, I couldn’t find any. Sigh. Sorry Paris but London and New York def overtake you on the shopping front! So my four day weekend trip has come to an end. Au Revoir Paris, it was brief but beautiful while it lasted. 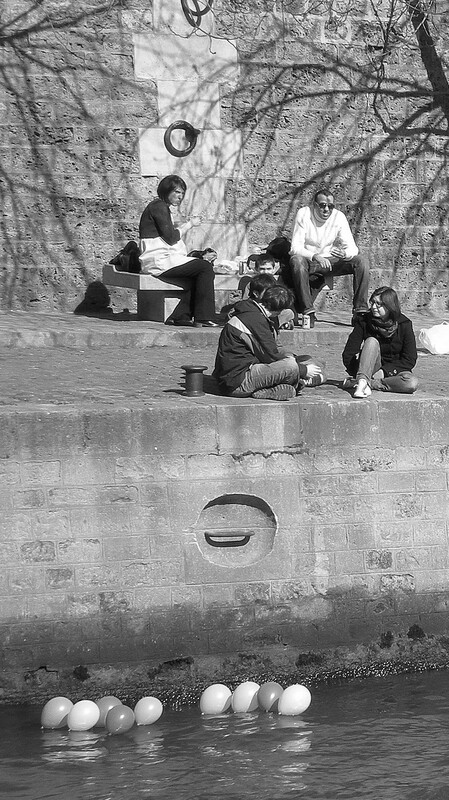 Lovely b&W photos… I adore Paris, lived there for 3,5 years back in the 90’s… what you said is true, it is an expensive city, very touristic and the shopping experience is not easy, yet you can find fun streets in Le Marais and in le 6e, also Sentier area is full of clothes and nick knacks.. but hey, Paris deserves a second visit, no? Thank you! I’m glad someone who’s lived there feels the same and I didn’t miss anything or get too ripped off then 🙂 I don’t think I got out to those areas so yes maybe one day I shall go back and check them out! What a gorgeous trip, though I must admit that I’m surprised that the shopping was subpar. That’s good to know, I won’t be as disappointed when I go! Lovely pictures. I so wish the balloons were in color though. I’m glad you enjoyed the trip if not the shopping. Welcome home! Thanks Lisa! 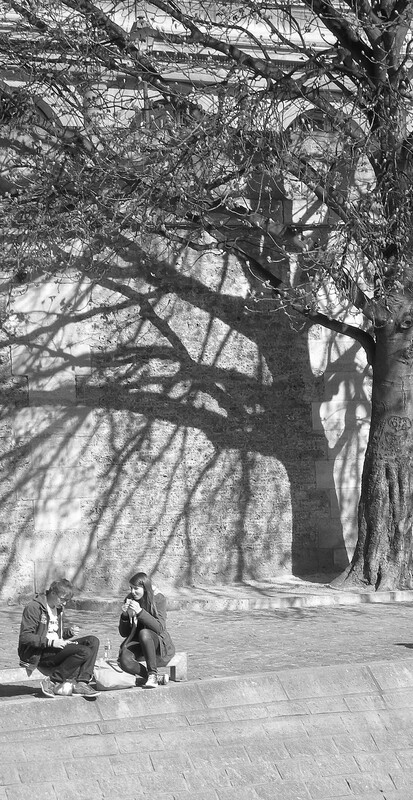 I should be able to email you a colour version, leave it with me. Thanks 🙂 I really hope you get to, you can look me up if you come to London! WOw….that is all I can say. Last time I went there we mainly ate in the antique markets.. fantastic food and all reasonable prices. My favourite museum was Monet’s.. it’s a house that was his studio and shows work from not just him but the artists he shared with at the time. 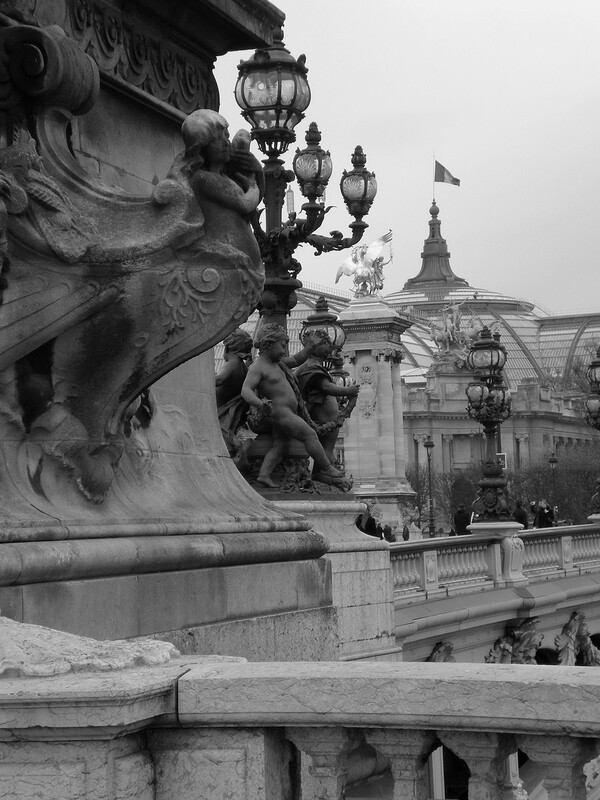 Also Musee d’Orsay (sp?) was rather good – fantastic building. Didn’t get to see that one, sounds interesting. Thanks! 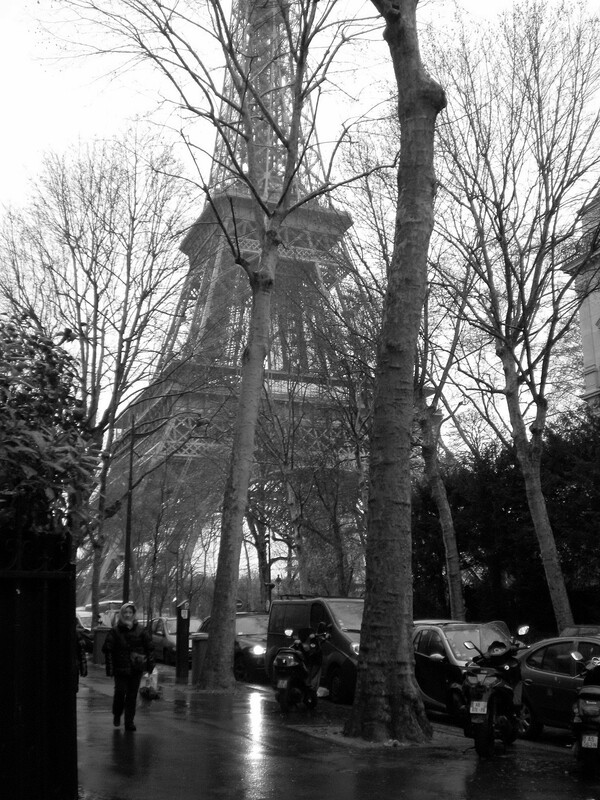 What great photos…I think I may have to add Paris to my “Bucket list”!! She was disappointed and couldn’t get over how “dirty” the streets were…garbage just tossed on the ground because there were no waste recepticles around, and excrement found on streets from homeless people. She was really put off by this. I don’t know how England/London is about litter, but did France strike you that way? Hopefully, it’s been cleaned up a bit. I wasn’t struck by it being that dirty, there was some dog poo around though and I didn’t notice fine signs. We have fines here but much lower than where you are and lots of dog poop bins in parks. There is chewing gum and graffiti around tho. We have wheelie bins for people’s homes and everyone moans they’re not collected frequently enough! Did you manage to buy any books despite the otherwise subpar shopping? Thanks Elin, nice to be back! I didn’t get any books there but I hit Amazon when I got back and I ordered the book you reviewed the other day! Oh yay! Really hope you like it, would be fun to know what you think! Those pictures are gorgeous! That stinks that the shopping wasn’t all that, but at least the sights were breath-taking! I would love to visit every country in Europe one day! Thanks 🙂 yes the sights were lovely. I hope you get to! 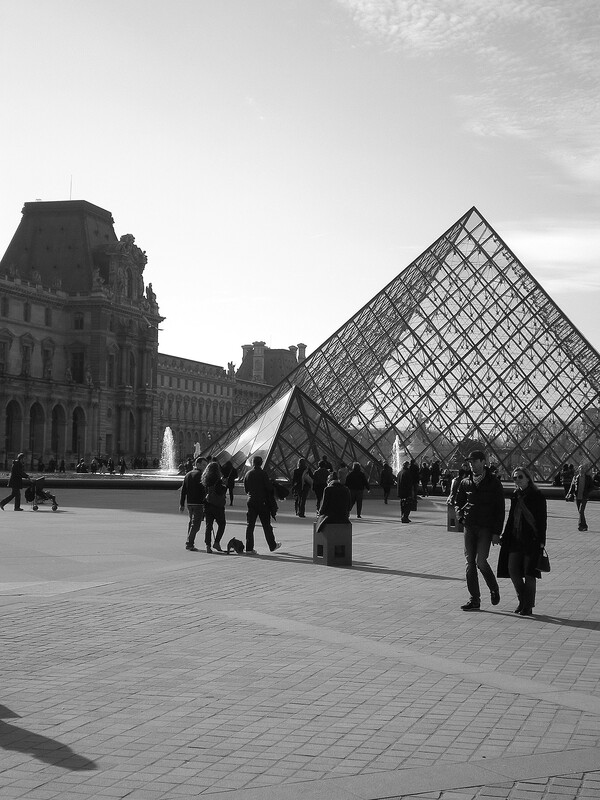 I loved your account of Paris, a great write-up. Good to hear you had such a fantastic time there (lots of walking it seems! It must have been wonderful walking round places only seen on TV or in the movies! What a lovely posts and beautiful pictures! I’m glad you had a great time Vix. 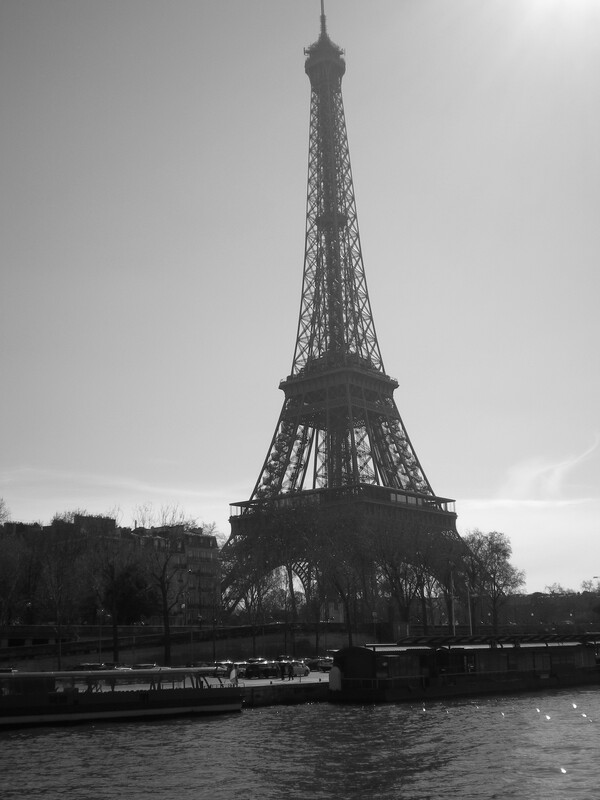 I’d love to go to Paris someday. The places to sightsee seems magical, like in the movies 🙂 Btw, happy belated birthday sweetie! Ah thank you Tien, I hope you do get to see it as well! That second pic is postcard worthy… I hope to see the Eiffel tower in person someday, but — for now — I hope you don’t mind if I make a copy of that pic and place it on my nightstand. 🙂 LOVE that photo and the way that the tower is just appearing around the corner! Sounds like such a fun trip!!!! thank you for sharing! Wow thanks Nicole, I always think my photos are a bit lame 🙂 of course I don’t mind, I hope you enjoy it there and get to see it yourself one day mon cherie! Thanks Laura, it def does!